I am a person-centred therapist, with experience of working with both adults and young people, in a variety of settings. 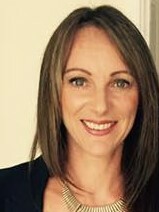 I work in a confidential, genuine, empathic and non-judgemental way, and seek to create a safe and trusting environment for you to explore your issues, whilst prizing your uniqueness above all. I have experience of working alongside clients from 9 yrs to 70+yrs of age with a wide range of issues. I am passionate about what I do and truly believe in the value of the therapeutic relationship. Research suggests that the therapeutic relationship is key to successful therapy. Feeling that you can trust and share your inner-most thoughts and feelings with your therapist is extremely important and I hope that our initial session together will help to assist you in deciding if my approach and style of counselling is the right fit for you. Life can be overwhelming and there are times when it feels almost impossible to deal with the challenges it brings. Childhood abuse, neglect, bullying, obsessive and/or intrusive thoughts, anxiety, depression, bereavement, loss, toxic relationships, relationship break ups, trauma, stress, these are all extremely distressing and many people struggle to overcome these incredibly painful experiences on their own. Counselling offers you the opportunity to make sense of, and explore, at your own pace, any issues that may be impacting your life and/or relationships within a safe, comfortable and confidential environment.